2016 Rio Summer Olympics Photos, News, and Videos | Just Jared Jr.
Simone Biles Is The Grandma of the Final Five Now! Simone Biles poses alongside the rest of the Final Five while at the top of the Empire State Building on Tuesday (August 23) in New York City. 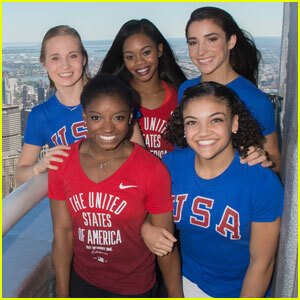 The 19-year-old gold medalist Olympian and her teammates Aly Raisman, Gabby Douglas, Laurie Hernandez and Madison Kocian got an amazing view of the Big Apple from the building’s observation deck. On the way back to the US, Aly took to her Instagram to share a funny photo of Simone sleeping on the plane. “Miss @simonebiles fell asleep before we took off. 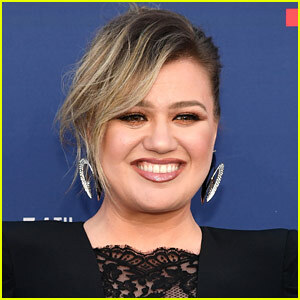 WHO’S THE GRANDMA NOW GUYS,” Aly jokingly captioned the image, as Simone had been calling her the grandma of the group! There’s no question that Simone Biles was the shining star of the 2016 Rio Summer Olympics. The 19-year-old gymnast won four gold medals and one bronze this summer, and now she’s looking back at the experience. 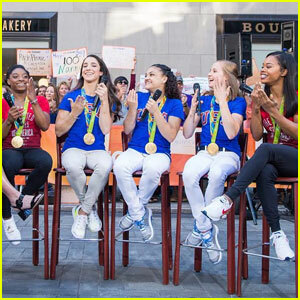 Simones Biles & Final Five Talk Rio Olympics on 'Today' - Watch Now! The “Final Five” pose together while making an appearance on The Today Show on Tuesday morning (August 23) in New York City. The Team U.S.A. gymnasts – Simone Biles, Aly Raisman, Laurie Hernandez, Madison Kocian, and Gabby Douglas – stopped by to talk about all their success at the 2016 Rio Summer Olympics. “Everyone raise their hands; we’re all going again,” Simone said about the 2020 Tokyo Games. In case you missed it, Simone and Laurie are HUGE fans of Jake Miller and recently sang his song in a cute video! Tom Daley took to Twitter after being eliminated from the 10M diving finals at the 2016 Rio Summer Olympics. “I truly am heartbroken because I feel like I am in the peak physical condition and I could have won,” Tom added. Tom already won a bronze medal at the Rio Olympics. 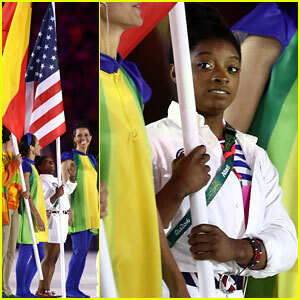 Simone Biles Holds American Flag at Closing Ceremony for Rio 2016! Simone Biles holds up the American Flag during the 2016 Rio Summer Olympics Closing Ceremony at Maracana Stadium on Sunday (August 21) in Rio de Janeiro, Brazil. The 19-year-old star gymnast won five medals total at the games – four gold and one bronze! Jake Dalton gets covered in sand to celebrate his 25th birthday in Rio de Janeiro, Brazil. 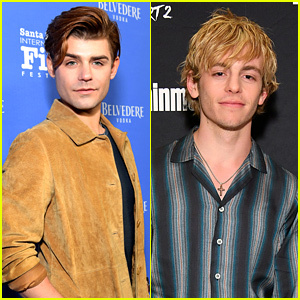 The Team USA gymnast shared the shirtless pic on Instagram after spending the day with wife Kayla and competing in the 2016 Rio Summer Olympics. “Thank you so much for all the birthday wishes!! Couldn’t be a better place to spend it! Just missing @kayyyno #25YrsYoung,” Jake captioned the pic. Jake also made an appearance on The Today Show with teammates Chris Brooks, Alex Naddour, Danell Levya and Sam Mikulak.